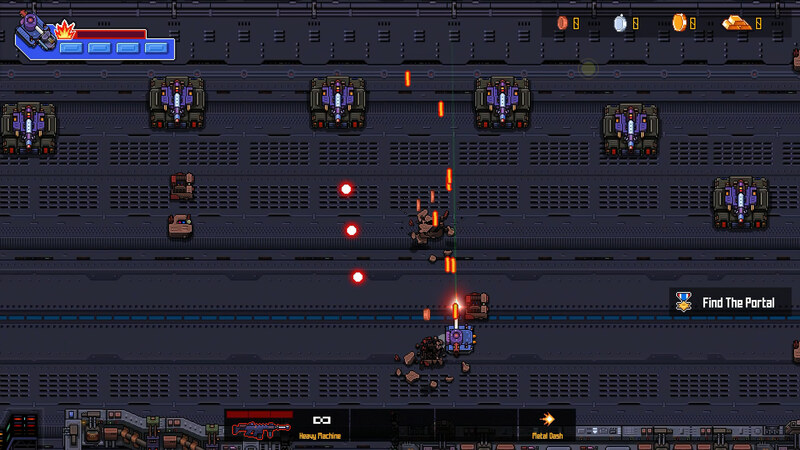 Bugs Must Die is a spiritual successor to Konami’s top-down jeep gunning action title "Jackal". Slay alien bugs and bosses that mimic Earth Pop Culture by controlling heavy armored upgradeable vehicles or agile special agents. A frantically-paced pixel art twin-stick shooter with 80s & 90s arcade style, Bugs Must Die brings gamers the nostalgia of old school gaming experience. 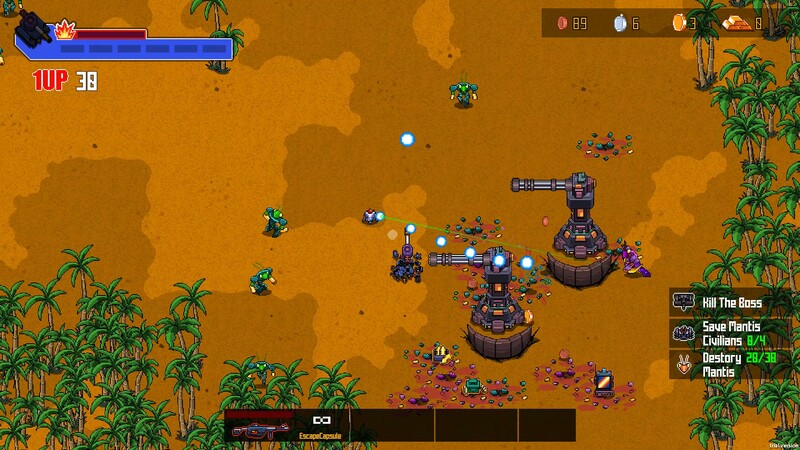 Bugs Must Die is a spiritual successor to Konami’s top-down jeep gunning action title "Jackal".Slay alien bugs and bosses that mimic Earth Pop Culture by controlling heavy armored upgradeable vehicles or agile special agents. A frantically-paced pixel art twin-stick shooter with 80s & 90s arcade style, Bugs Must Die brings gamers the nostalgia of old school gaming experience. Located in Shanghai, China, Dragonglass Games Workshop (DG Games Workshop) is an independent game company established in March 2016. The goal of DG Games Workshop is to create “Fun, Challenging and Beatable” indie games for gamers. As an elite from the Galactic Pests Control Company, Agent M is sent to the planet M-79 to rescue two missing special agents and prevent Mantis Beings from invading Earth. On the terrestrial planet, Agent M and her fellows not only have to destroy the cruel Mantis soldiers but also battle with the various bosses cloned from Earth pop culture by Mantis scientists. “Bugs Must Die” is the first indie game produced by DG Games Workshop since March 2017. It is a spiritual successor to Konami’s top-down jeep gunning action title "Jackal". In this game, players can control a heavy armored vehicle equipped with multiple weapons to gallop on the battlefield. They can also use Mantis Agents who have completely different fixed-weapon systems shooting to dodge their way through the Bullet-hell. There are RPG elements as well; Gamers are also able to upgrade their character, vehicles, and/or weapons to take down the bugs with ease. We expect gamers will enjoy the fun and challenge of Hack'n Slash and Run'n Gun gameplay by playing with different characters and different weapons in “Bugs Must Die”. Story Mode, Challenge Mode and Hell Mode will bring well over 10 hours of gameplay. Challenge Mode:In addition to the 16 bosses from Story Mode, you’ll encounter additional secret bosses randomly. To come across all available bosses, Challenge Mode is a must! Hell Mode: The more levels that you pass the greater the loot! "Bugs Must Die Preview – Retro inspired goodness"
"Bugs Must Die looks like the top down shooter I’ve been waiting for." "Bugs Must Die feels like a spiritual successor to Konami’s top-down jeep gunning action title, while cranking up the speed, intensity, and play style to a higher level." 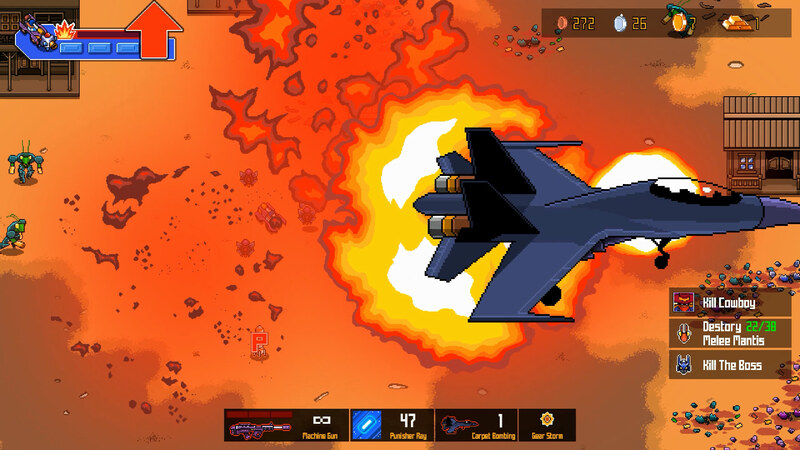 "“It’s a great game, with fast and frantic twin-stick arcade action, excellent pixel art animation, brutal bosses and lots of unlockables and upgrades to kit out your vehicle with.”"
"“As soon as I started playing I immediately recalled old glories of the past, one of them being License To Kill”"
"Bugs Must Die is a 2018 version of all your classic favorites like Jackal and Smash TV." 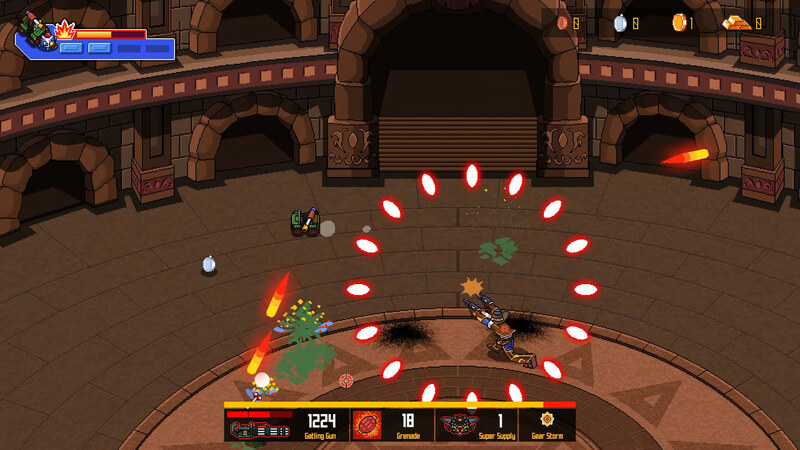 DG Games Workshop allows for the contents of Bugs Must Die to be published through video broadcasting services for any commercial or non-commercial purposes. Monetization of videos created containing assets from Bugs Must Die is legally & explicitly allowed by DG Games Workshop. This permission can be found in writing at https://www.indiedb.com/games/bugs-must-die/presskit. 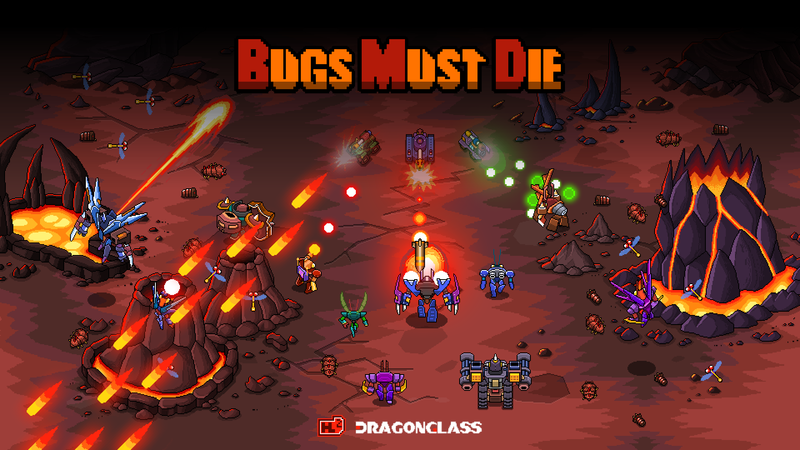 Bugs Must Die Steam Store store.steampowered.com/app/816720/Bugs_Must_Die. More information on DG Games Workshop, our logo & relevant media are available here.